While hard to see and often a forgotten part of the anatomy, your tonsils actually act as an important part of your immune system. Take a look at our guide to everything you need to know about keeping your throat’s first line of defense healthy. When your tonsils are healthy, you probably never think about them. Just because they are often overlooked does not mean that they do not serve an important purpose. In fact, they actually act as part of your immune system. You actually have three sets of tonsils in your mouth: the pharyngeal tonsils, commonly known as adenoids, the palatine tonsils and the lingual tonsils. Usually when people refer to tonsils, though, they are usually talking about the palatine tonsils. These are the oval shaped mounds that reside on either side of the back of your throat. The tissue that makes up your tonsil is called lymphoid tissue. Lymphoid tissue contains cells that fight off disease. The lingual tonsils are actually tissue on the base of your tongue, the pharyngeal tonsils are located at the back of your nasal cavity and the palatine tonsils are at the back of your throat. These tonsils act like a net to trap germs and debris that enter your mouth and prevent them from going down your throat. In order to perform their function well, these tonsils may change shape by swelling with blood to trap germs. Unfortunately, sometimes your tonsils ‘nets’ can become clogged with what is often referred to as ‘tonsil stones’ or tonsilloliths. Your tonsils have crypts which are used to trap the bacteria and debris from entering your throat. 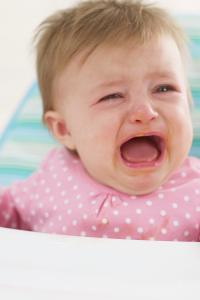 In some cases, debris, food particles, mucus can get caught as well and form a small mass. Often these stones will be ejected naturally from the tonsil through everyday eating and drinking and will slip down the throat undetected. In other cases the stones may become caught or form deep in the crevices of the tonsil. They are sometimes only detectable on an x-ray. These stones can take on a ‘cheesy’ texture and attract bacteria. This can cause bad breath as well as a bad taste in the mouth. In other cases, the stones may calcify from the minerals in the saliva and become hard and uncomfortable. Most tonsil stones are hard to see as they are often buried in the crypts of your tonsils in the back of your throat. Some people may notice them on their toothbrush after brushing. They are usually white, yellow or grayish in color and about the size of the eraser at the end of a pencil. While rare, they can grow larger. The largest tonsil stone ever recorded was more than 14 cm when removed. It is important to note that this was in 1936, when oral care was much more primitive than it is today. Often, tonsil stones produce no symptoms. They do not require any treatment and can even be unnoticed by the person affected. In other cases, they can produce uncomfortable symptoms. Many oral issues produce many of the same symptoms. 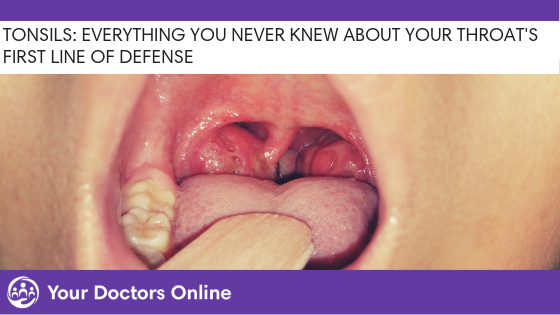 Speaking with a healthcare professional is the best way to determine if your symptoms are linked to tonsil stones or another oral issue such as a viral or bacterial throat infection, tonsillitis or even tonsil cancer. Speak to one of our doctors for free. 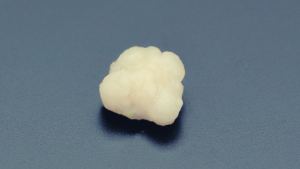 Many cases of tonsil stones may go unnoticed since they are often asymptomatic. Large recurrent stones are often linked to repeated cases of tonsillitis or inflammation of the tonsils. Many believe that tonsil stones are linked with the prevalence of larger tonsils, chronic sinus issues (since mucus is often present in the tonsil crypt) and poor dental hygiene. Many cases of tonsil stones don’t require any medical intervention. That is because many people have the stones and don’t know or aren’t bothered by their occasional appearance. One of the most common complaints with sufferers is the prevalence of bad breath. This is because bacteria can be attracted to the stones once they form and grow causing an unpleasant smell. 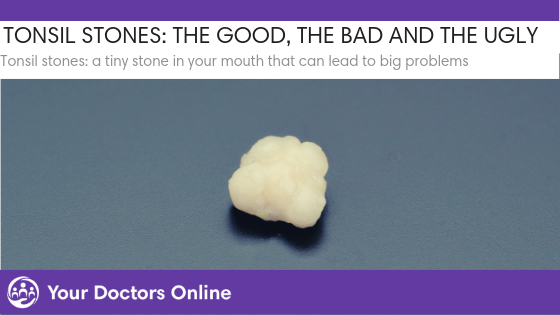 In some cases, your doctor or dentist may remove the stones for you using a local anesthetic or numbing agent. There is another option available that is more invasive but produces less risk than tonsillectomy called coblation tonsil cryptolysis. This procedure reshapes the tonsils and reduces the number of crevices in which the stones can grow. This is done using a local anesthetic laser resurfacing. Learn more about tonsil stones here. While once a standard procedure, the amount of tonsillectomies has been declining in recent years. With more adults with tonsils intact the opportunity for tonsil stones is also on the rise. While a ‘cure’ for tonsil stones, it is often viewed as a last resort. Part of the reason for the decline in removing the tonsils the risks of performing a tonsillectomy often outweigh the benefits. 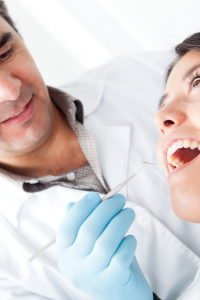 While it is considered a generally safe procedure, it can produce risks. In some cases where the tonsil stones are associated with recurrent cases of tonsillitis (the inflammation of the tonsils) the only possible true prevention of tonsil stones is to have a tonsillectomy. While the tonsils work hard to filter out viruses and bacteria, it is not always able to protect itself against infection. Much like the throat, tonsils can be susceptible to viral and bacterial infections. Often a sore throat is the first indication that you have contracted a viral infection such as a cold or flu (influenza). With a viral illness, whether it affects the throat, tonsils or both, it does not usually require a trip to the doctor’s office for antibiotics. It’s not only the palatine tonsils that are susceptible to tonsillitis. Even after the palatine tonsils are removed with a tonsillectomy, lingual tonsillitis can still occur. Lingual tonsillitis happens when the lingual tonsils become inflamed due to an infection. They will often swell in size. The lingual tonsils are located at the back of the tongue this type of tonsillitis can produce a cough, pain in the throat and even airway obstruction. This type of tonsillitis can be caused by debris caught in the tonsils causing an abscess. This abscess can lead to airway obstruction. Tonsillitis is caused when your tonsils also become infected and inflamed. When examining the mouth, a doctor may notice that your tonsils have become swollen, red or have white dots on them. Tonsillitis can be caused by many different viruses and bacteria. One common type of bacteria not often associated with tonsillitis is staphylococcal bacteria (the type of bacteria that causes staph infections). This type of bacteria lives on 20 to 30 percent of healthy people. You can be a constant carrier of the bacteria, an intermittent carrier or it may never reside in or on your body. This bacteria becomes harmful when it is able to enter the body. Staph bacteria creates an abscess under the skin’s surface. When found in the mouth, they will often form on the tonsil. These abscesses will often fill with pus and then burst, further spreading the infection. Learn more about tonsillitis here. 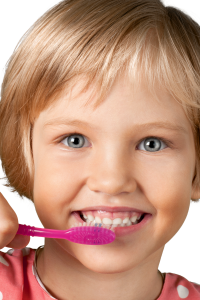 The streptococcus bacteria (the bacteria that causes strep throats) can also cause tonsillitis. Strep throat refers to the inflammation of the throat due to this bacterial infection and tonsillitis refers to the inflammation of the tonsils due to this infection. You can have either inflammation or both at the same time. Are you worried your sore throat could be more serious? 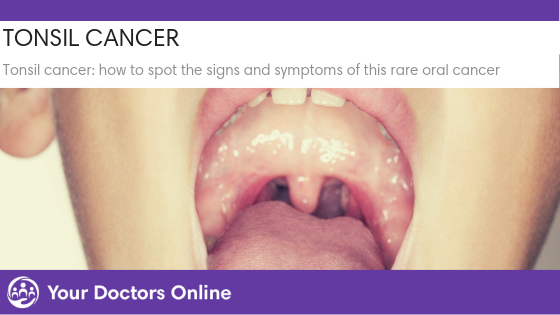 Learn more about tonsil cancer. Diagnosis tonsillitis is very similar to strep throat. Your healthcare provider will be examining your throat to look not only for signs of infection and inflammation, but will also need to determine if your tonsillitis requires antibiotics. Your tonsillitis will only require antibiotics if was caused by a bacterial infection rather than a viral one. They may also take a throat culture to check for signs of strep. A quick strep test can often report results quickly. A negative result may require further lab examination to determine what organism is causing the symptoms. Bacterial tonsillitis requires antibiotics to fight the infection. Often with bacterial infections the symptoms are much more uncomfortable but usually subside after about 24-48 hours of antibiotics. Despite this, it is important to finish your entire round of medicine. If you suspect that you have bacterial tonsillitis or possibly a throat infection, it is important to see a doctor for treatment. Bacterial symptoms are often more severe in nature and require medical evaluation. Tonsillitis can spread within your tonsils as well as to those around you. Tonsillitis can be spread through direct contact between an infected person and a non infected person. This is the case in many many viral and bacterial infections. When an infected person coughs or sneezes respiratory droplets are put into the air. 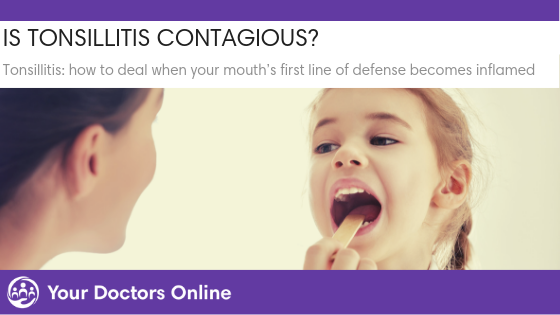 Tonsillitis caused by a viral infection will be contagious for about 7-10 days. Tonsillitis caused by a bacterial infection will likely stop being contagious after being on antibiotics for 24 hours. At this point it is likely safe for the person to return to school or work. If the bacterial infection is left untreated, the individual could be contagious for up to two weeks. One of the best ways to prevent the spread of viral or bacterial infections that cause tonsillitis is by avoiding public spaces and personal interactions when contagious. If you are not able to stay home, practising good personal hygiene and encouraging those around you to do the same is recommended. Could your sore throat be a sign of an infection? Learn more about viral, bacterial and staph throat infections.